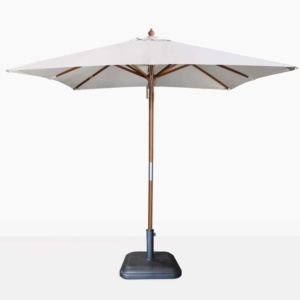 The Dixon Market Round Umbrella is a fantastic, light, airy, and functional addition to your outdoor space. 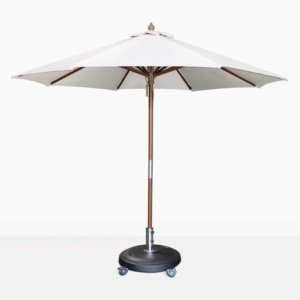 It provides shade on warm summer days around a dining set or relaxing chairs. 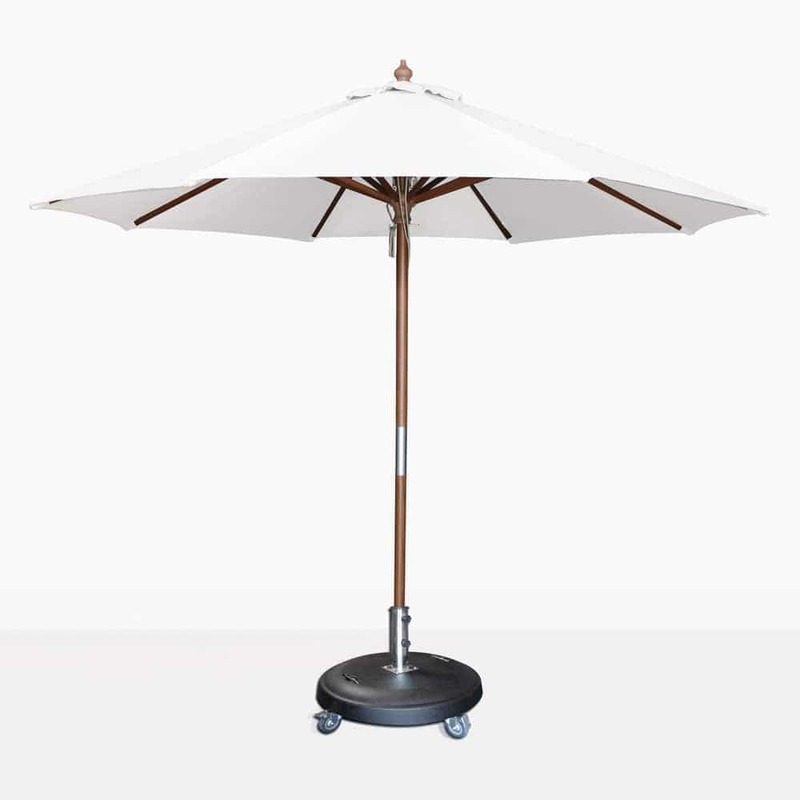 It has a simple and clean look with a hardwood pole, outdoor fabric canopy, and easy to use pulley system. 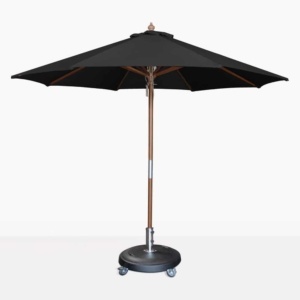 Patio umbrellas are perfect at home, or ideal for cafes, spas, and restaurants. The base is not included in the price.